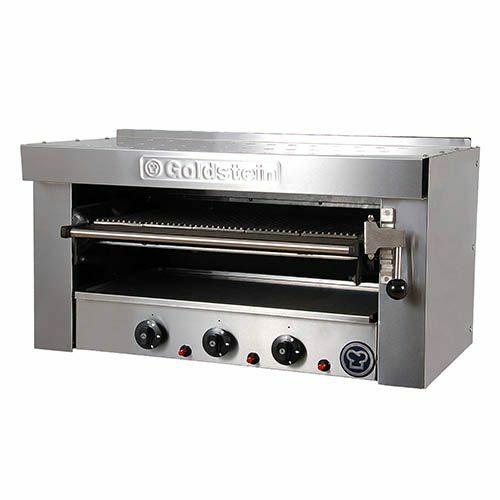 Browning the tops of casseroles, melt cheese on garlic bread. 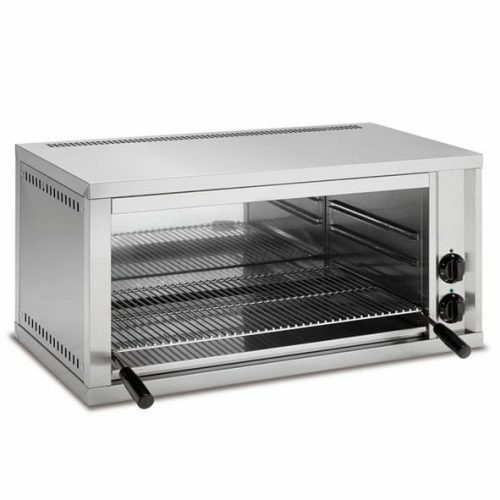 Also, reheat foods, toast up muffins, focaccias, and bagels with commercial salamanders. 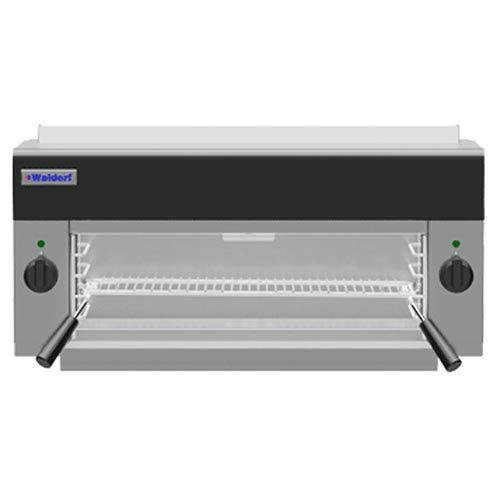 Commercial salamanders perfect for putting that finishing touch to your entries before served to your customers. 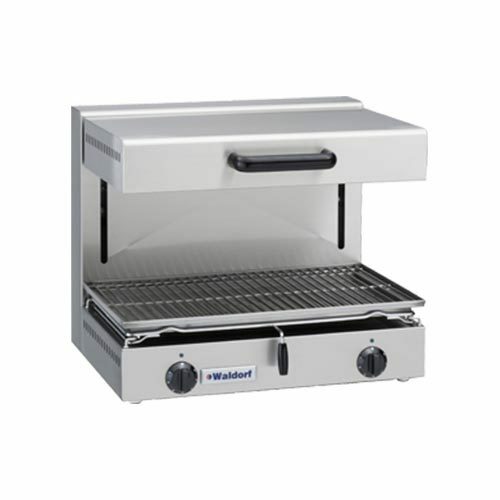 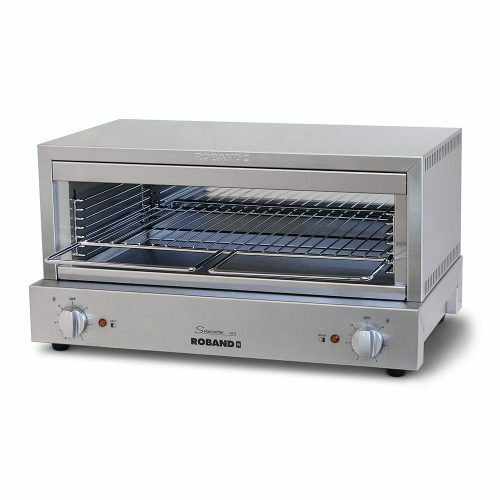 With the simple design and use, you can use your salamander to reheat food that was prepared earlier in the day. 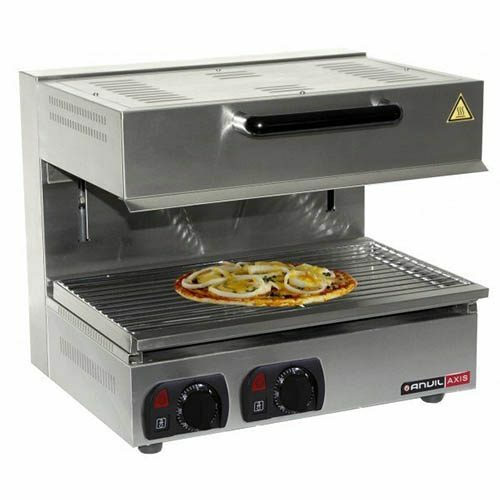 Also, melt cheese on that delicious garlic bread. 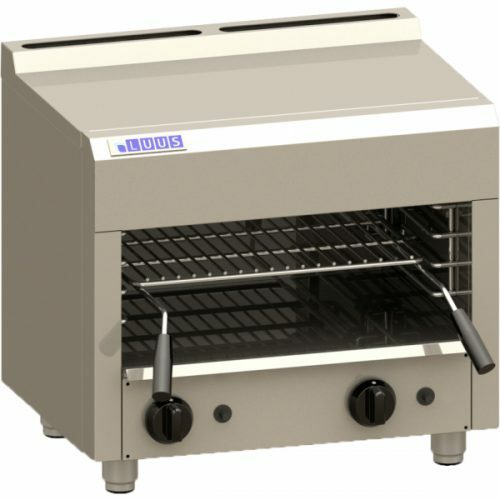 Salamanders can save your staff time during the peak hours of service allowing them to reheat food before serving. 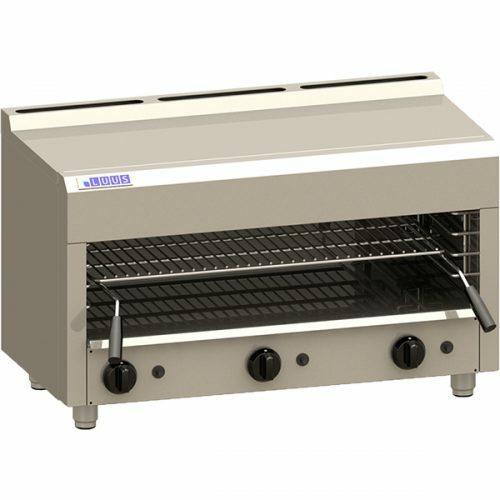 Many models of commercial salamanders broilers have designs to retain heat. 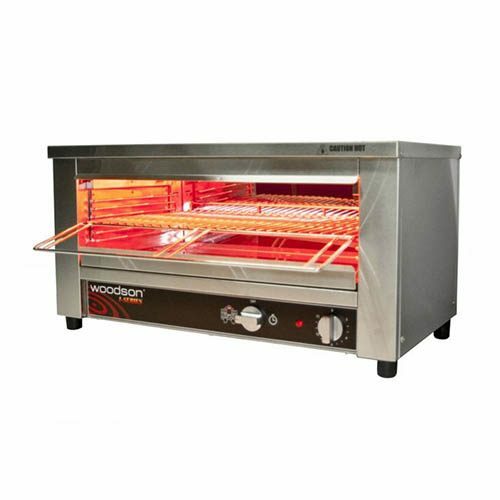 Also, while sitting on standby so you can quickly reheat the salamander. 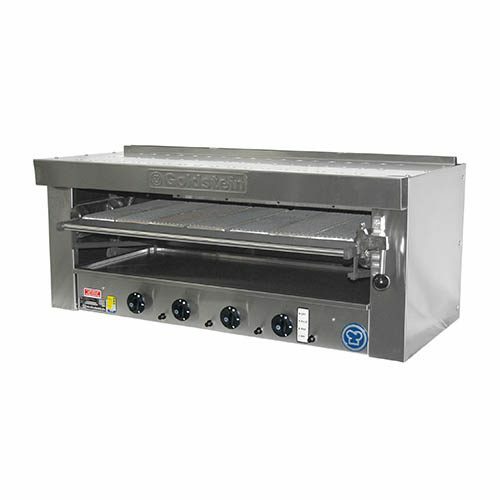 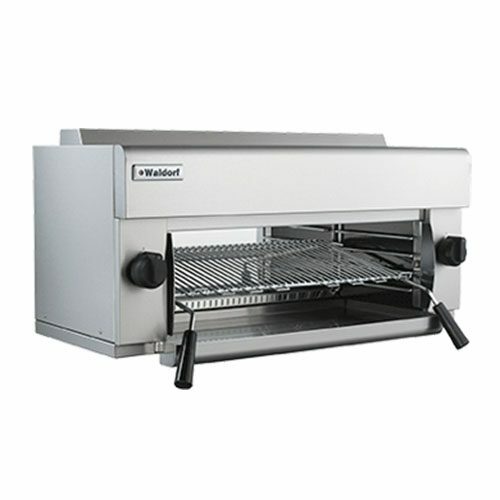 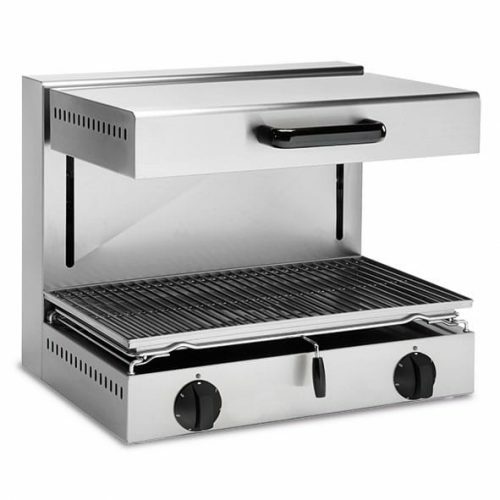 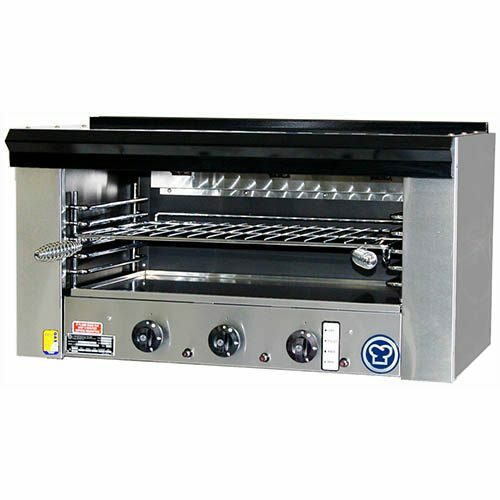 Also, they come with easy to load racks and can accommodate a variety of dish sizes. 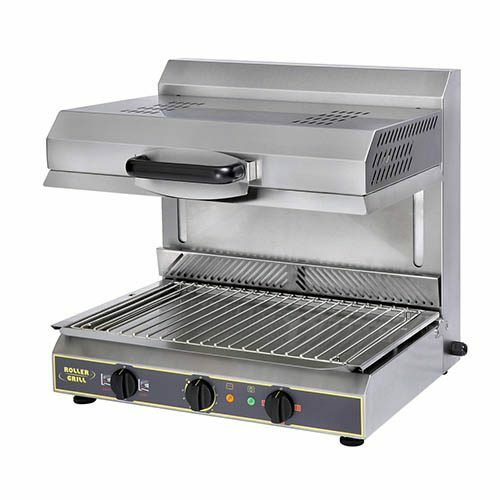 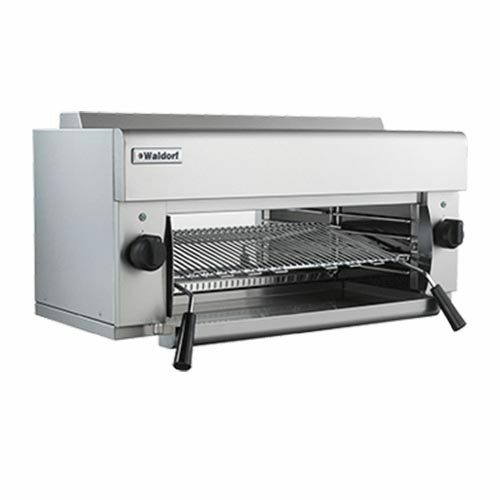 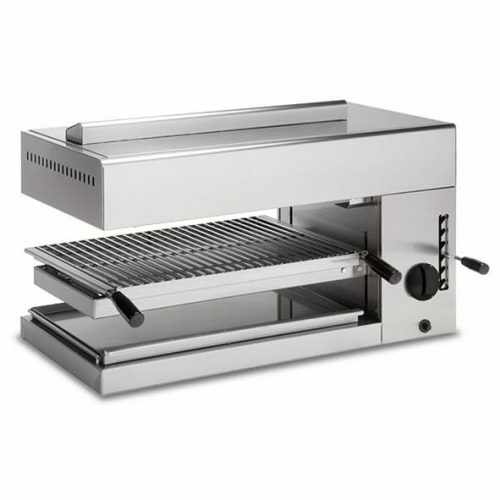 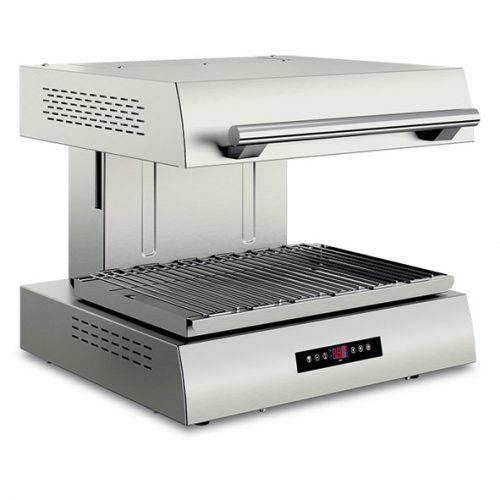 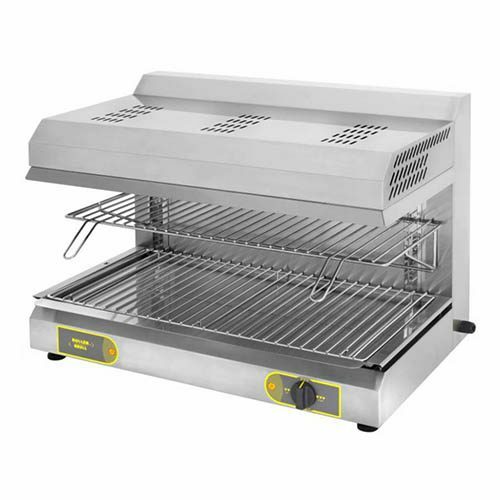 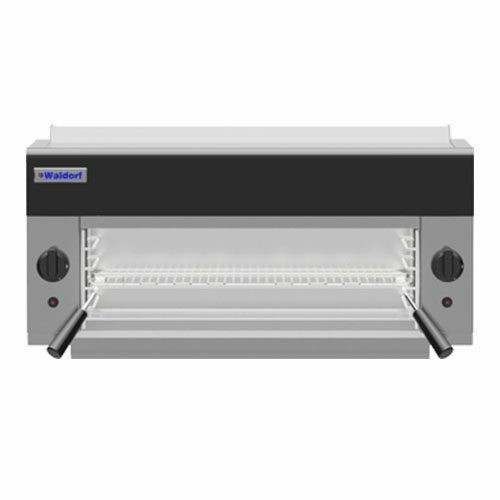 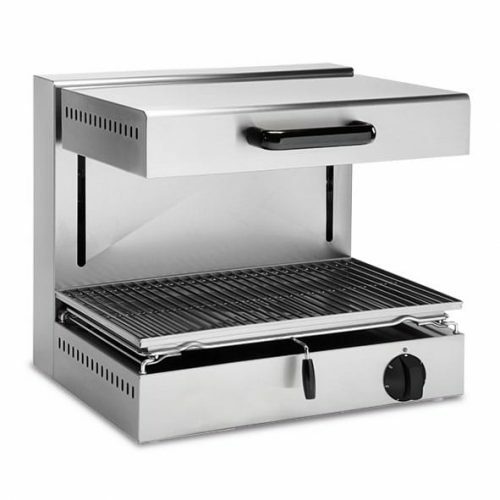 Salamanders come in a range of wall mount models or countertop models, huge range to suit your needs in your commercial kitchen.